A little like our recent post from Giraffe, this post comes to you on more of a sentimental note than anything else. Just like this time two years ago when we visited Fortnum & Mason for Afternoon Tea as a welcome meal for me in London, I was again treated by my love on the day of my arrival. After a long day packing, travelling and unpacking once more, it was the perfect way to cool off and relax. 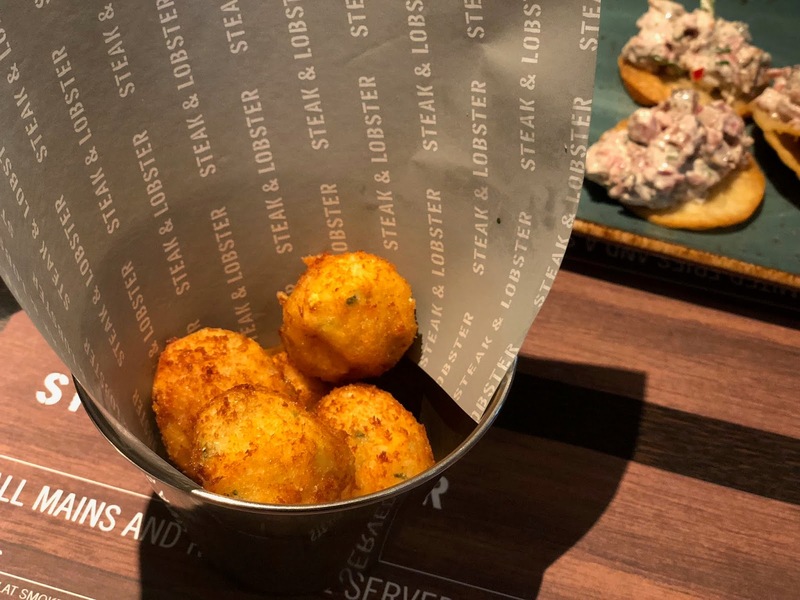 A long long time ago we had dinner at Burger & Lobster, sister of this wonderful restaurant and fond memories came flooding back when we saw a special offer on Open Table for a three course meal with cocktail for £39 each. 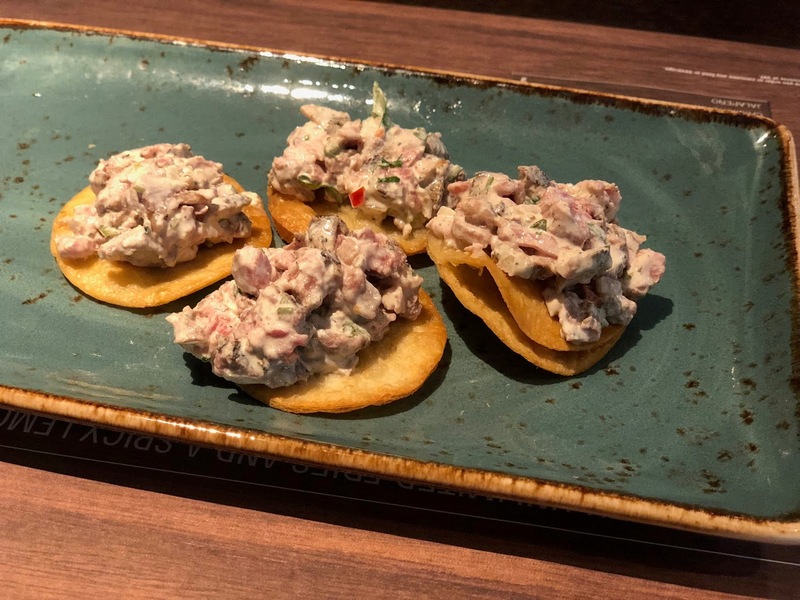 Considering their signature main course dishes cost £20 alone usually and given the occasion, it was a steal and it turned out to be well worth it. 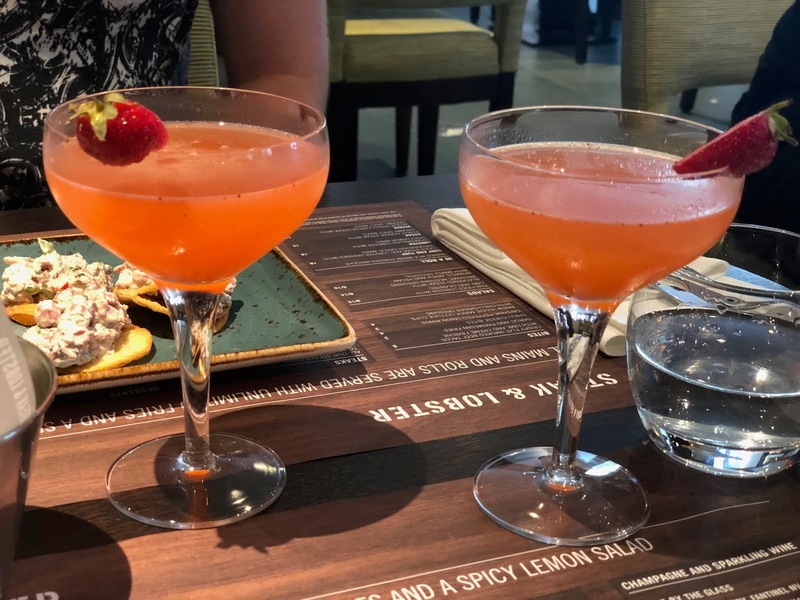 Starting with Chilli Cheese Bites and Beef Tacos, our appetite was well and truly whet as both dishes gave explosions of flavour, plenty of spice and a massive compliment to the Strawberry and Rhubarb Fizz’ we had to go alongside. 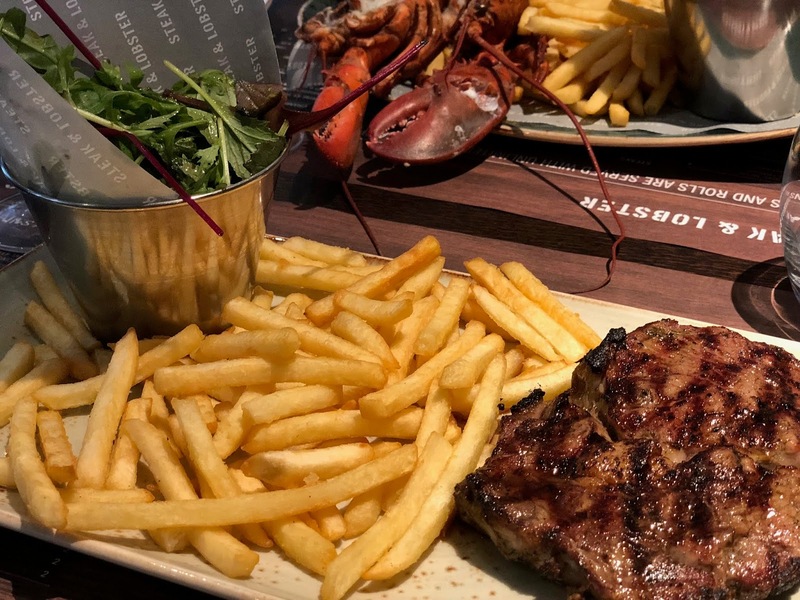 You may have guessed what we had as main courses – the menu is simply The Steak or The Lobster. Both with unlimited fries and salad, we ordered one each and devoured both in due course. With running this blog we’d like to think our pallets and tastes have widened and matured over the last few years, however sometimes you can’t beat a simple handful of fries. They came in a never ending abundance here and that meant we became rather full before our dessert arrived. 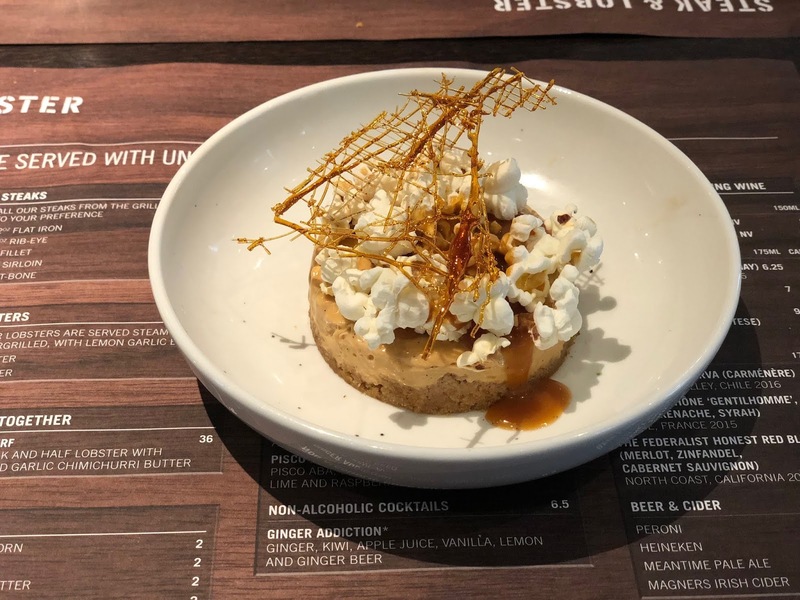 However the salted caramel cheesecake was light, dreamy and the perfect way to see us off home to prepare for our holiday the next day. 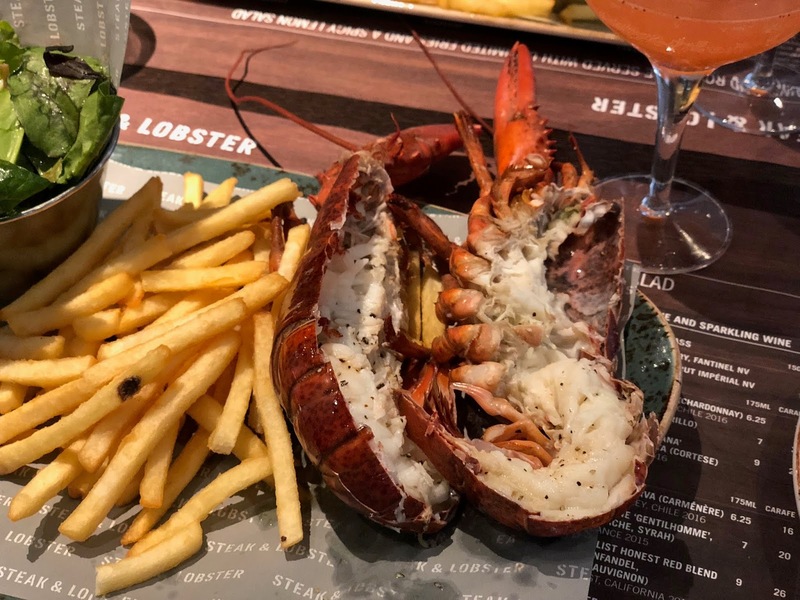 From the fantastic customer service and sophisticated decor, the freshly caught lobster and steak from Northern Island, it is clear from all aspects that this restaurant aspires and delivers on the highest quality. Our experience certainly lived up to the occasion and we fully recommend it to those looking to celebrate in style. My goodness, now I have one more reason to come to London (I already have more than I can count). This place sounds terrific and the photos are also great!